SARASOTA, FLORIDA, April 9, 2019 – Sarasota is such a wonderful place to live, as its residents (and visitors) can join various amateur and recreational sports. 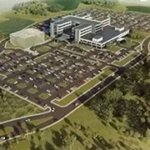 This while also having the option to attend and watch big-league action in the form of spring training games of either the Baltimore Orioles or the Atlanta Braves. A short drive to Bradenton allows sports fans to watch spring training games for the Pittsburgh Pirates as well. Notably, Sarasota has been hosting the Orioles each spring for nearly a decade now at the Ed Smith Stadium and at the Twin Lakes Park. The Braves, on the other hand, are new arrivals. This Atlanta ball club started their spring training in March this year at the newly minted CoolToday Park in North Port, incidentally now one of the pluses for Sarasota homes for sale at the master development West Villages. 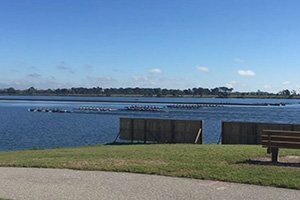 Rowing is one choice Sarasota offers to sports aficionados with an inclination to play as well as watch top caliber professional and amateur competitions. For these paddler events and more, the hands-down choice would be Nathan Benderson Park. Besides rowing, this park also provides a wide variety of health and wellness activities both on and off the water. Besides rowing, the menu of activities at the park includes dragon boat racing, Olympic triathlon, ChiWalking, and yoga. It also offers learn-to-row programs, paddling clinics, and fishing camps. There are truly a lot more sports choices now in Sarasota besides golf and tennis that dominated the local scene in decades past. Croquet, polo, and other equestrienne sports all have sizable following, clubs, and playing venues such as those at Lakewood Ranch. 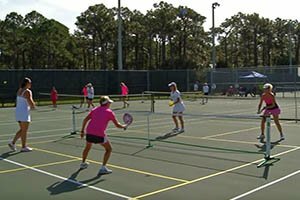 The recent development and general acceptance of new sports suitable for all ages, like pickleball, is also driving the increase in more recreational activities in Sarasota. In the case of pickleball, its rising popularity is fostered furthered by the fact that it is a social sport wherein open play comes as the standard. Moreover, pickleball not only breaks age barriers. It can also accommodate seniors with mobility problems, as pickleball courts are smaller than those for tennis. Pickleball combines elements of other popular sports—badminton, tennis, and table tennis—thereby making it easier to adapt in sports centers. Pickleball courts in Sarasota are now available at local YMCA campuses, Robert Taylor Community Complex, Englewood Sports Complex, and at the Venice Community Center. In Longboat Key, pickleball courts have been included in the upgrade of the town’s Bayfront Park, and similar facilities are being considered for the town’s Tennis Center. More growth in participation on other more traditional sports, such as basketball and soccer, could be expected. According to SoCo Club Sport, an organizer of leagues for these sports, participation in its Sarasota events has grown five-fold in the last 10 years. It attributes this robust increase mainly on young professionals in search of sports activities wherein they can have new friends and socialize but minus the competitive pressure of sports requiring high skills and proficiency, such as tennis and golf.